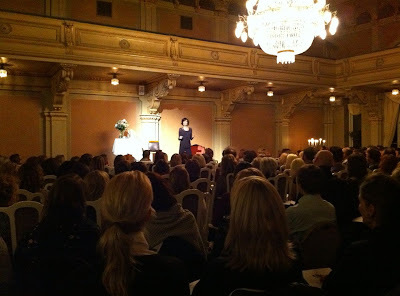 Back in February 2011 work took me to spend an evening with the beautiful-from-inside-out Debbie Ford, when she visited Sweden for the first time with her inspirational lectures. It was an amazing and really crowded night at Grand Hotel in Lund (photo above) where she shared many of her life wisdoms as a Psychologist, best-selling author and transformative thought leader, known to a bigger audience via Oprah, Larry King and Deepak Chopra. Sadly Debbie Ford passed away at the age of 57 on Sunday. She is most remembered for her work called "The Shadow effect". This is a program, book and movie that brings you to think about what shadows you have in your life. We all have shadows, even though we believe to be light and happy. The trick is to recognise your hidden shadow/s and bring them out in the light, since this will make a huge effect on your personality, life and general wellbeing. It takes work though to see the parts of ones life that are a bit more hidden away. In every shadow there is a gift for us, says Debbie Ford. What can we learn from this shadow? 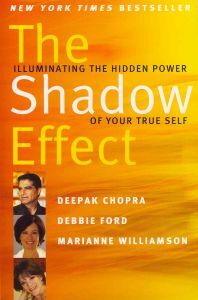 At the end of the day, the shadow work mainly aims to help loving yourself, the whole you. There is no point in loving just parts of yourselves, according to Debbie Ford, who means that all of you must be recognised and loved. That will bring inner peace, help you let go of what´s holding you back in life, move you closer to your life purpose and just make your life so much better when embracing the whole you and not neglecting those "darker" corners in you. “It’s easy to love yourself when you feel good enough, when you feel special enough, when you’re loved enough, when you have enough money, and you’re appreciated. But what about loving yourself when you’re crying and you’re in pain, feeling powerless and hopeless; when you feel like a reject and nobody loves you? That is what shadow work demands from you. That you embrace those parts of you that you have deemed inappropriate or wrong." Debbie Ford told Laurie Sue Brockway at New Consciousness Review. Verkar vara en underbar kvinna! Gillar tanken skarpt kring shadows. Ska nog klicka hem. Mycket tänkvärt, blev helt klart sugen på att läsa den boken. 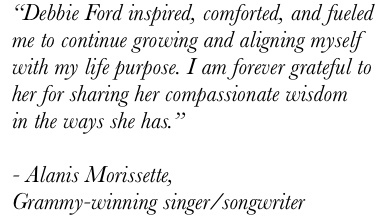 I want to know more about Debbie Ford...seems like an amazing woman!